Living in New England, we are subjected to a wide range of weather: the good, the bad, and the ugly. In May, the Bay Club will be welcoming Guest Lecturer, Jennifer Francis as she delivers a presentation to members about the fundamentals of weather. Why does the wind blow? Why are there clouds some days and not others? Why does the barometer go up and down? What is the jet stream? Francis will discuss these topics, with an emphasis on weather for boaters. Jennifer Francis is a Research Professor at Rutgers University and also studies Arctic climate change and Arctic-global climate linkages. She earned a B.S. in Meteorology from San Jose State University in 1988 and a Ph.D. in Atmospheric Sciences from the University of Washington in 1994. 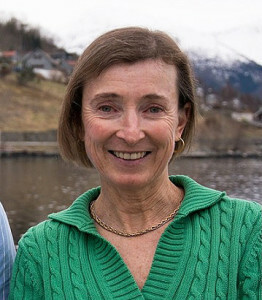 She and her husband circumnavigated the world in a sailboat from 1980-1985, including Cape Horn and the Arctic. This journey sparked her interest in weather and the Arctic.